If you’re a man who appreciates the way modern technology can enhance the comfort and protection of your work boots, but still enjoys a classic, traditional fit, feel, and look, then look no further than these men's KEEN Utility 1011357 waterproof steel toe boots ... (see full details) (see specifications) #KEN1011357. If you’re a man who appreciates the way modern technology can enhance the comfort and protection of your work boots, but still enjoys a classic, traditional fit, feel, and look, then look no further than these men's KEEN Utility 1011357 waterproof steel toe boots. Let’s not make this overcomplicated. These are black. These have steel toes. And this is work footwear. They’re about as classic as it gets. But these steel toe boots also include some terrific features that you’re sure to enjoy. First of all, they have waterproof nubuck leather uppers, which are great, and these shoes are manufactured with abrasion-resistant tough-tec leather, which means the leather is durable and tough and it isn’t going to look like your men's boots were put through a wood chipper after you’ve had them for three months. This footwear also has removable Metatomical dual-density EVA footbeds and compression-molded EVA midsoles, which sounds confusing, but basically, means that there are really comfortable insoles that you can take out if you don’t like them. The KEEN.Dry waterproof, breathable membranes will keep your feet feeling dry and fresh. And the oil- and slip-resistant non-marking rubber outsoles and the left and right asymmetrical steel toes will keep your feet protected. Locking metal hooks and lacing eyelets make putting on these men's boots a piece of cake. What’s more, these KEEN Utility 1011357 steel toe waterproof boots meet ASTM F2412-11 and F2413-11 I/75 C/75 EH standards, as well as ASTM F1677-96 Mark II non-slip testing standards, so they’ve got that going for them, which is nice. Get your pair today! Keen discontinued their duty style boot, so I got these as an alternative. Comfort is top notch as with all Keen footwear. This is my second pair of Keens and any shoes or boots I buy from now on will be Keen, as they are very comfortable and durable. They have the anatomy of the foot in mind when they design their shoes. -I wish they offered them with zippers instead of laces. -It took a couple days of break-in and trying different lace tightening for them to feel right. -Very comfortable once broken in(after a few days). -Waterproof but still breathable. My feet are much cooler and dryer at the end of the day compared to my old pair of Rocky boots. I have just had these boots for a few weeks now but I am very impressed so far and if they are like my other Keen shoes then I'm sure they will last a long time. I've had these boots for about three weeks and so far so good. I work in a kitchen and these boots meet all my needs. They are very comfortable, they maintain excellent traction on tile floors wether covered in water, soap, or oil. I'm usually not a fan of steel toes because the leather on the toes gets really beat up from my feet hitting the bottom of the reach in cooler under my station, but with the rubber caps on these boots I don't think that will be a problem. I was looking for a boot that was comfortable for wearing everyday all day and being on my feet. I have always liked the Keens I have had in the past for comfort and durability. But these have to be the best so far. They are super comfortable, warm and have kept my feet dry when working in the rain, and I haven't worried about slipping when coming in and walking on the smooth polished floors. Better than hoped for, I will definitely get these boots again. 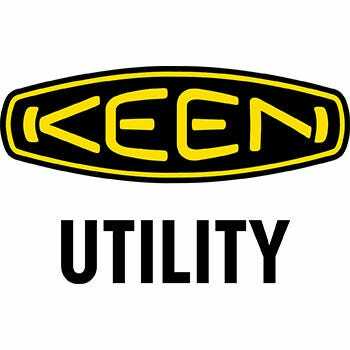 KEEN Utility 1011357 Louisville Steel Toe Boots is being added to your cart.